Paxton Lynch is receiving interest on the free agent market. Four teams have called the 24-year-old quarterback about scheduling a work out, according to a report from The Athletic. Lynch was cut by the Broncos last weekend. 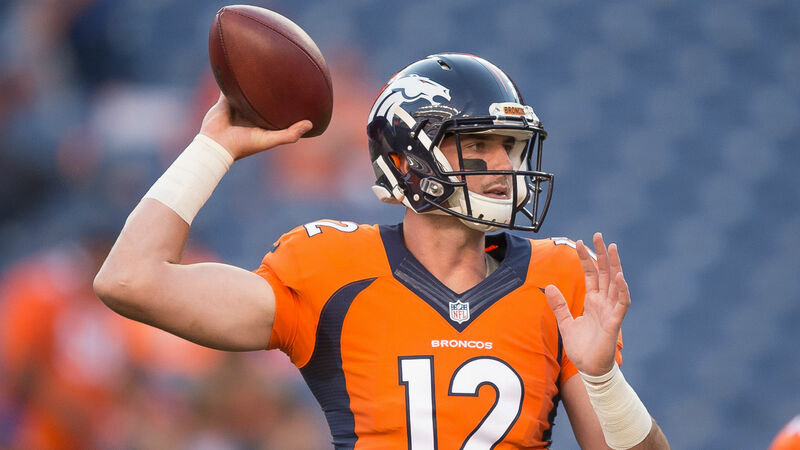 Four teams have called about working out Paxton Lynch since he was waived by the Broncos, per source. Lynch’s first meeting will be with the Bills on Tuesday, according to a separate report from the NFL Network. Lynch struggled this preseason and was demoted to third-string on the Broncos depth chart before he was released. He was booed off the field after passing for just 24 yards and throwing an interception against the Vikings on Aug. 11. The Broncos selected Lynch out of Memphis in the first round of the 2016 draft. He appeared in five regular season games over two seasons with Denver.